Henrique Balduino Gonzaga (henriquebg88) created T62554: Startup failure. Henrique Balduino Gonzaga (henriquebg88) created T62186: Boolean seems to do something weird on my material. Henrique Balduino Gonzaga (henriquebg88) added a comment to T61806: Simulations not beeing rendered correctly. It doesn't happen to all my cloth simulations. Henrique Balduino Gonzaga (henriquebg88) created T61806: Simulations not beeing rendered correctly. Henrique Balduino Gonzaga (henriquebg88) added a comment to T61454: Some shortcuts don't work. Henrique Balduino Gonzaga (henriquebg88) created T61454: Some shortcuts don't work. Henrique Balduino Gonzaga (henriquebg88) created T61451: Sometimes when clearing keyframes, the animation remains. Henrique Balduino Gonzaga (henriquebg88) added a comment to T61208: Particle System > Changing the emitting number also changes the object size. So it's not a bug, then? Henrique Balduino Gonzaga (henriquebg88) created T61208: Particle System > Changing the emitting number also changes the object size. 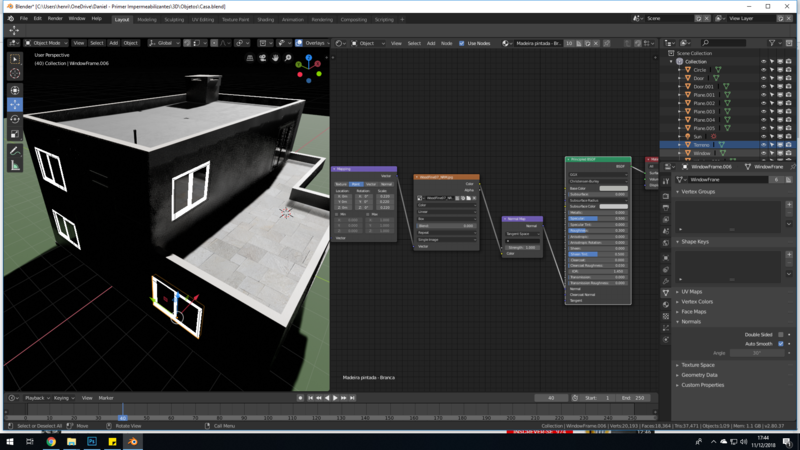 Henrique Balduino Gonzaga (henriquebg88) added a comment to T60988: eevee crashing on viewport after linking some objects, but still works on render. Now it renders on the viewport again! Henrique Balduino Gonzaga (henriquebg88) added a comment to T61035: Draw manager crash opening file with curves. Thanks for recovering my file. Henrique Balduino Gonzaga (henriquebg88) updated the task description for T61035: Draw manager crash opening file with curves. Henrique Balduino Gonzaga (henriquebg88) created T61035: Draw manager crash opening file with curves. Henrique Balduino Gonzaga (henriquebg88) created T61021: Dynamic Paint on Weights and Particle System doesn't work when using Density. Only Lengh..
Henrique Balduino Gonzaga (henriquebg88) created T60991: Normal Map on Tangent Space makes some objects emissive. 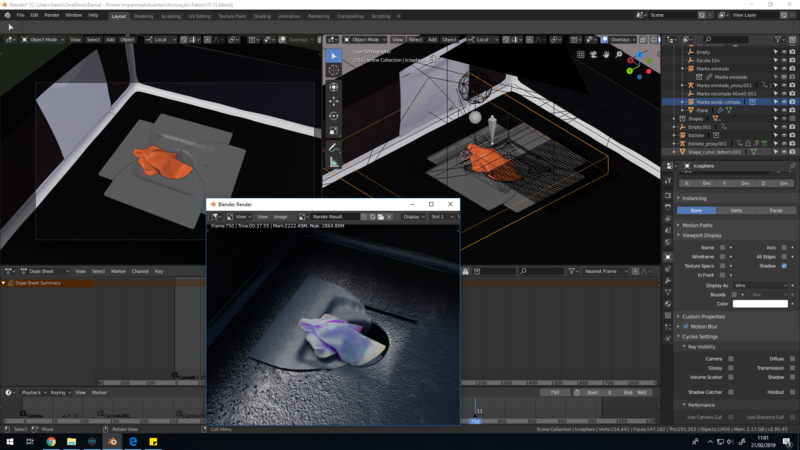 Henrique Balduino Gonzaga (henriquebg88) updated the task description for T60988: eevee crashing on viewport after linking some objects, but still works on render. Henrique Balduino Gonzaga (henriquebg88) added a comment to T60953: Normal Map Tangent Space stopped working with Object Texture Coordinate. Henrique Balduino Gonzaga (henriquebg88) added a comment to T60954: Texture Paint behaving weird on Ctrl + Z sometimes. Henrique Balduino Gonzaga (henriquebg88) created T60988: eevee crashing on viewport after linking some objects, but still works on render. Henrique Balduino Gonzaga (henriquebg88) created T60954: Texture Paint behaving weird on Ctrl + Z sometimes. Henrique Balduino Gonzaga (henriquebg88) created T60953: Normal Map Tangent Space stopped working with Object Texture Coordinate. Henrique Balduino Gonzaga (henriquebg88) updated the task description for T60858: Shape Keys stoped working. Henrique Balduino Gonzaga (henriquebg88) created T60858: Shape Keys stoped working. Henrique Balduino Gonzaga (henriquebg88) added a comment to T60830: Keyframes don't allow changing. Henrique Balduino Gonzaga (henriquebg88) created T60830: Keyframes don't allow changing. Henrique Balduino Gonzaga (henriquebg88) added a comment to T60624: Linked objects misplaced. As i was deleting things, i figured out that the grilles are parented to another object. If i delete the parent, the grilles move to the position considered wrong. But what seems to be happening is that if both collections are linked togheter, the parent works. If the collections are imported separately, the parent doesnt't works because they were on different collections. Henrique Balduino Gonzaga (henriquebg88) updated the task description for T60624: Linked objects misplaced. Henrique Balduino Gonzaga (henriquebg88) created T60624: Linked objects misplaced. Henrique Balduino Gonzaga (henriquebg88) added a comment to T60563: Hook seems to get double the value when using armature/bones. It looks like the hook uses global location instead of local location, and i am not sure if there is a way to change it. If you change the hook from using the empty to use the bone, the result is the same. Henrique Balduino Gonzaga (henriquebg88) created T60563: Hook seems to get double the value when using armature/bones. Henrique Balduino Gonzaga (henriquebg88) updated the task description for T60162: Collections issues when keyframed. Henrique Balduino Gonzaga (henriquebg88) created T60162: Collections issues when keyframed. Henrique Balduino Gonzaga (henriquebg88) created T60120: Some animations dont't render. Henrique Balduino Gonzaga (henriquebg88) renamed T59992: Issues when trying to keyframe force field properties from Issues when trying to keyframe filed strength to Issues when trying to keyframe force field properties. Henrique Balduino Gonzaga (henriquebg88) created T59992: Issues when trying to keyframe force field properties. Henrique Balduino Gonzaga (henriquebg88) added a comment to T59953: Particles not beeing rendered. Henrique Balduino Gonzaga (henriquebg88) updated the task description for T59953: Particles not beeing rendered. Henrique Balduino Gonzaga (henriquebg88) created T59953: Particles not beeing rendered. 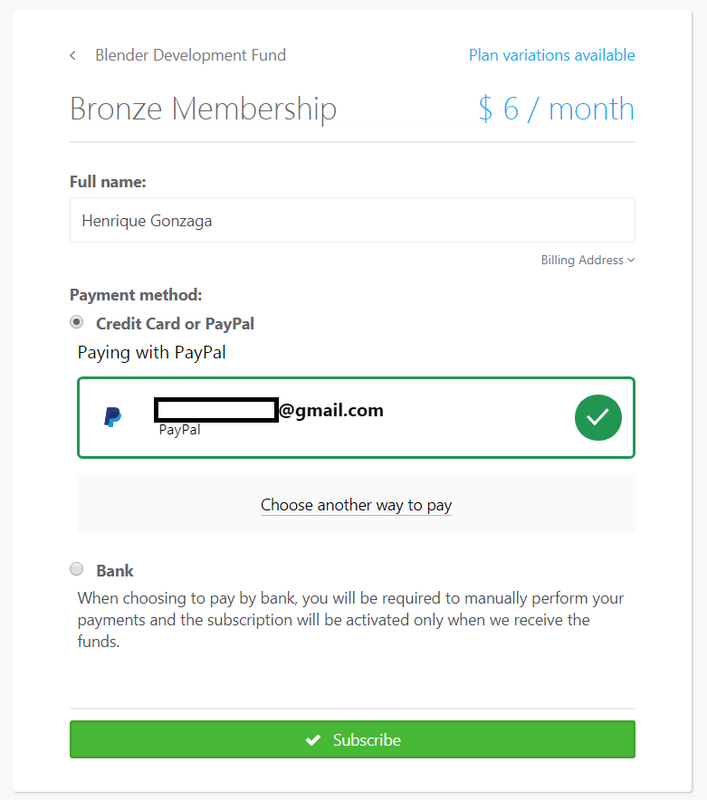 Henrique Balduino Gonzaga (henriquebg88) added a comment to T59071: payment issues on fund.blender.org. Henrique Balduino Gonzaga (henriquebg88) added a comment to T59207: Material suddenly became emissive, but not for all objects using it. Can you figure out exact steps to reproduce the bug using this file? Everything looks normal to me. Henrique Balduino Gonzaga (henriquebg88) created T59381: UV editor - Pinned vertex turns red only after another action. Henrique Balduino Gonzaga (henriquebg88) created T59266: Hard to select a single face when set to display as wireframe. Henrique Balduino Gonzaga (henriquebg88) added a comment to T59203: Edit mode : Multi-data objects view not sync. Henrique Balduino Gonzaga (henriquebg88) created T59243: Knife tool (node wrangler) for cutting node link not working properly. Henrique Balduino Gonzaga (henriquebg88) created T59241: Cannot shift + select to add more nodes to selection. After rebooting the computer, the material which was black now is normalized. But the other one is still emissive. chris stagg (toranzufajinzu) awarded T59207: Material suddenly became emissive, but not for all objects using it a Like token. Henrique Balduino Gonzaga (henriquebg88) updated the task description for T59207: Material suddenly became emissive, but not for all objects using it. Henrique Balduino Gonzaga (henriquebg88) created T59207: Material suddenly became emissive, but not for all objects using it. Henrique Balduino Gonzaga (henriquebg88) created T59204: Measure tool crashed Blender. Henrique Balduino Gonzaga (henriquebg88) updated the task description for T59203: Edit mode : Multi-data objects view not sync. Henrique Balduino Gonzaga (henriquebg88) created T59203: Edit mode : Multi-data objects view not sync. Henrique Balduino Gonzaga (henriquebg88) added a comment to T59119: Archipack meshes not showing on list. But on 2.79 it ahd something on the list. Thumbnails with "no image" and the sizes. Henrique Balduino Gonzaga (henriquebg88) created T59122: Recovering from Auto Save changed some settings. Henrique Balduino Gonzaga (henriquebg88) created T59121: Weird Shadows on viewport (solid mode). Henrique Balduino Gonzaga (henriquebg88) created T59120: Compatibility between 2.79 and 2.8. Henrique Balduino Gonzaga (henriquebg88) created T59119: Archipack meshes not showing on list. 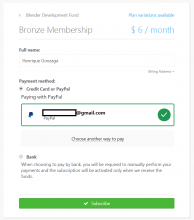 Henrique Balduino Gonzaga (henriquebg88) created T59071: payment issues on fund.blender.org. Henrique Balduino Gonzaga (henriquebg88) closed T58872: Blender 2.8 don't seem to open on Windows 7 as Resolved. Henrique Balduino Gonzaga (henriquebg88) added a comment to T58872: Blender 2.8 don't seem to open on Windows 7. Sorry. it was pretty out of date. it works now. Henrique Balduino Gonzaga (henriquebg88) created T58872: Blender 2.8 don't seem to open on Windows 7. Henrique Balduino Gonzaga (henriquebg88) created T54671: Poor shadow smooth when using bump. Henrique Balduino Gonzaga (henriquebg88) added a comment to T54195: Blender don't close entirely. Ok. but as i said, it happens with every single file here. even if i just started it, like this one i will be sharing..
Lattice.001 depends on Mesh7 Group4 Model.001 through Parent. Mesh7 Group4 Model.001 depends on Lattice.001 through Lattice Modifier. Henrique Balduino Gonzaga (henriquebg88) created T54195: Blender don't close entirely. Henrique Balduino Gonzaga (henriquebg88) created T54192: Blender closes while rendering. Henrique Balduino Gonzaga (henriquebg88) created T52928: Filmic affect everything. Henrique Balduino Gonzaga (henriquebg88) added a comment to T52769: A.N.T. Landscape. It has a mountain from the plugin, but i didn't dare to touch the commands again... it's on default..
Henrique Balduino Gonzaga (henriquebg88) created T52769: A.N.T. Landscape. Henrique Balduino Gonzaga (henriquebg88) closed T45024: Failure in mesh interpretation bug as Invalid. i feel such a noob... it was no bug. The bug is me. Henrique Balduino Gonzaga (henriquebg88) added a comment to T45024: Failure in mesh interpretation bug. Henrique Balduino Gonzaga (henriquebg88) created T45024: Failure in mesh interpretation bug.